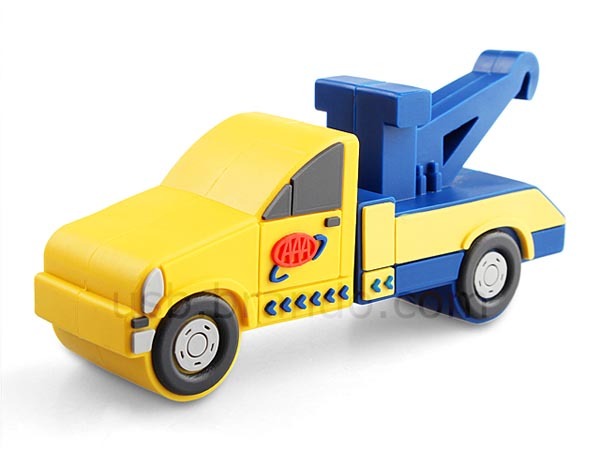 The special tow truck doesn’t help you trailer your broken car on the road. 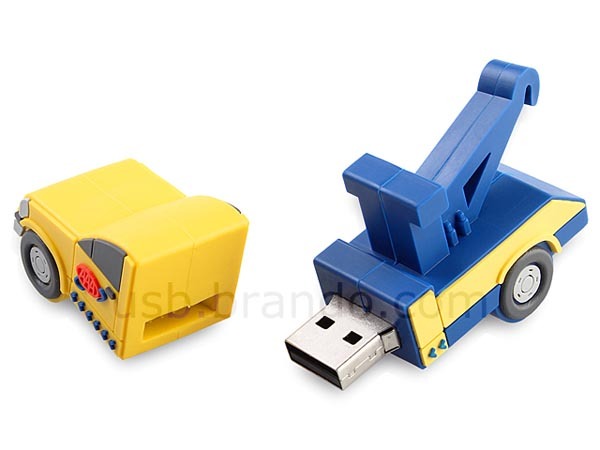 But if you just need to trailer your data from a computer to another, the tow truck shaped USB flash drive will help you. This is an interesting USB flash drive that measures 75 x 22 x 34mm and weights 30g. 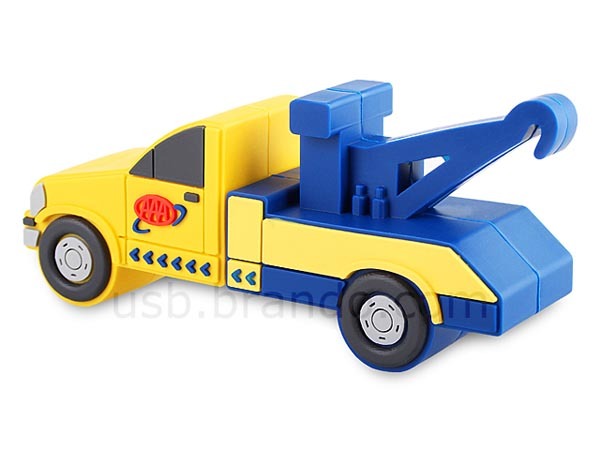 As we can see from the images, the USB drive is shaped as a tow truck, and comes with vibrant colors and nice details, but it’s a little pity the wheels and the arm are fixed. Inside, there is a built-in flash memory to store data and help you transmit it between computers. 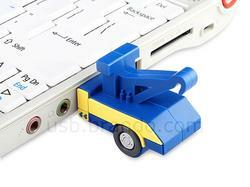 All you need to do is to just separate the colored tow truck, and plugging the unveiled USB connector to your computer’s USB port. 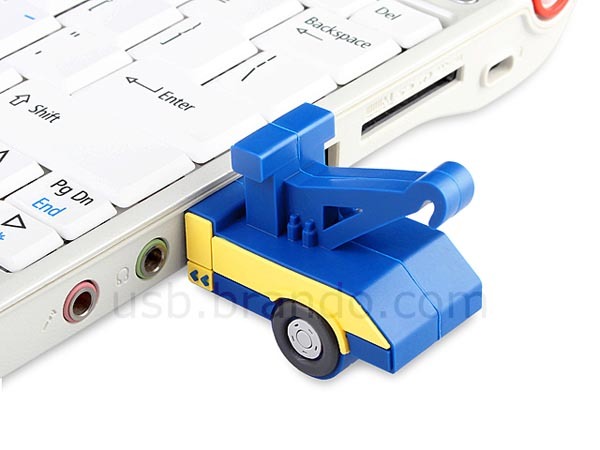 The tow truck shaped USB flash drive is available in 4 storage capacities including 2GB, 4GB, 8GB, and 16GB, the prices range from $14 to $22 USD. If you’re interested, jump to Brando online store for more details. Additionally, if you want more detailed vehicle styled USB drive, you might like to check Tumbler Batmobile USB drive and more via “USB flash drive” tag.